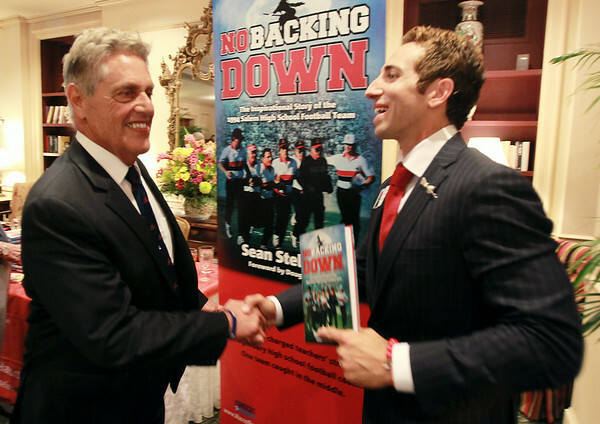 Former Salem High School quarterback and current NFL Agent Sean Stellato, right, shakes hands with his old coach Ken Perrone, at a gala and book signing for Stellato's new book "No Backing Down" a book on the 1994 Salem High School Super Bowl football team. DAVID LE/Staff photo. 7/11/14.